Our rectangular cushion pads in a pack of 2 are cased with luxurious polypropylene cover that is highly durable, cottony soft and stain resistant. Filled with 100% polyester hollow fibre, our cushion pads will give you pleasurable comfort and support. Its polypropylene fillings are soft and fluffy and versatile. Our Rectangular shaped cushion pads are perfect for bedrooms. 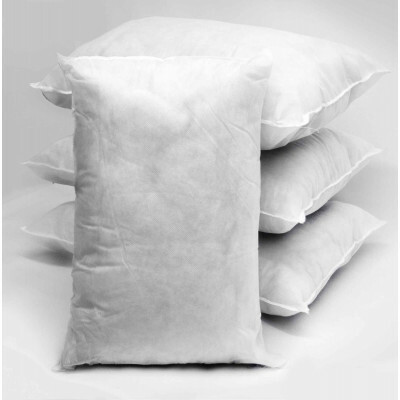 Bedding mill offers rectangular hollow fibre filled cushion pads in a pack of 2 in various sizes. You can easily pick them according to your requirements.